For the avid golfer, Bunker’s Paradise is a website that should be quickly added to your collection of bookmarks. There is a wide range of content on this site, including equipment reviews, golf tips, editorial pieces, and more. The website design makes it easy to use, and you are often going to find fresh and informative content when you stop by. 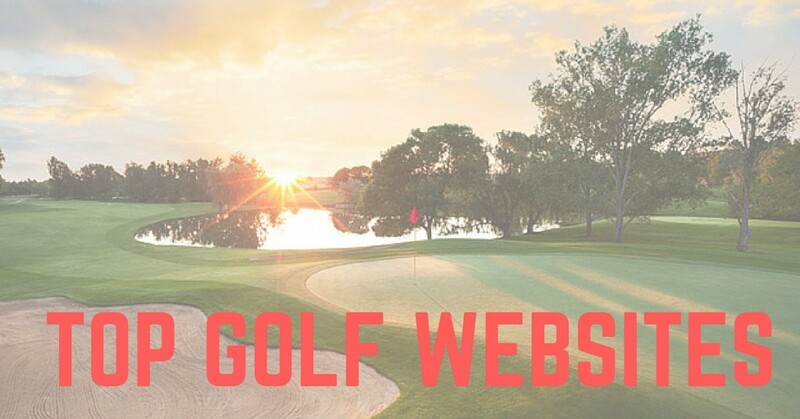 Even if you only head over to the site once or twice a week, it is sure to add to your golf knowledge. In addition to the website, Bunker’s Paradise also maintains an active presence on a variety of social media channels. Another great website for all-around golf information. 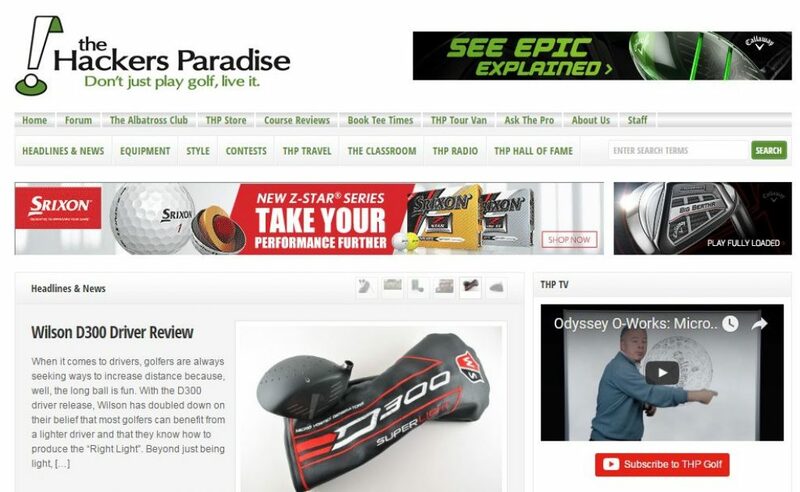 The Hackers Paradise is one of the most-comprehensive golf sites on the web today. Course reviews and product reviews can be found on this site – but that is just the beginning. They also offer a highly active forum, which is perfect if you are looking to chat with other golfers about a variety of topics. There are also contests which run on the site from time to time, so you may be able to win some new gear if you spend enough time on the pages of The Hackers Paradise. ‘The Golf Girl’, in this case, is Patricia Hannigan. 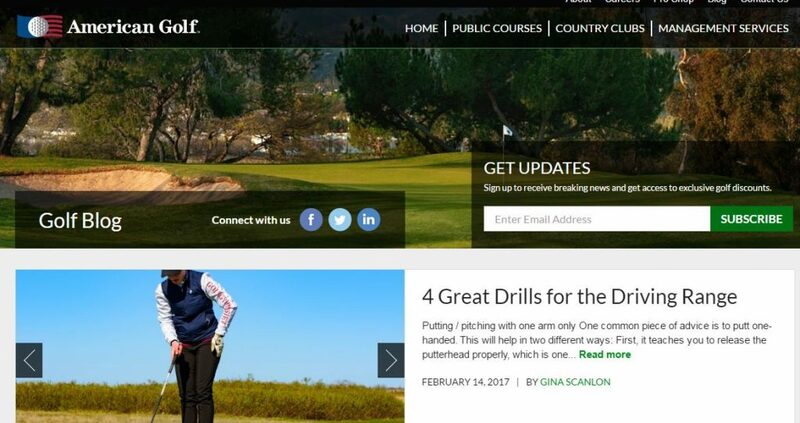 Patricia runs this fun and informative golf blog, which has grown to become one of the most popular on the web. While much of the content on this blog is presented from the female perspective, there is content that can be enjoyed by everyone regardless of gender. Women who wish to learn more about the game from Patricia Hannigan may also be interested in her book, Golf Girl’s Little Tartan Book, which is advertised on the website. One of the most-common goals in the game of golf is attempting to crack the magical 80 barrier. Shooting in the70’s for an 18-hole is an accomplishment that most golfers never manage to achieve, so those who do break 80 feel great pride in their feat. If you are a player who is working hard to finally post a score that starts with a seven, the How to Break 80 website is just for you. As you would imagine, the site is filled with helpful golf tips that aim to inch your score lower and lower –one shot at a time. This site is owned and managed by Jack Moorehouse, who is not a professional golfer, but rather someone who simply wishes to help other players get results. American Golf is one of the largest golf course operators in the United States. More than 90 courses reside within the American Golf portfolio, making them a major player in this industry. While you might not think to add a corporate blog to your list of web reading material, there is actually a lot to enjoy on this page. Most of the content is focused on helping you improve your play, including swing tips, strategy, fitness, and more. You can tell from the title of this website that it is not going to be the most-serious golf discussion on the web. That is a good thing, however, as golf is a game that could use a light-hearted perspective from time to time. One of the things that you are likely to enjoy about this blog is the random, wide-reaching nature of the content. You will find commentary on the current status of the game, profiles of top players, product reviews, and much more. This isn’t your traditional golf blog – but it just might be exactly what you are looking for. If you have a strong interest in the world of professional golf – specifically, the PGA Tour – you are likely to enjoy what you find on the Armchair Golf Blog. This blog will keep you up to date on all the latest happenings in pro golf, from tournament previews and recaps to amazing highlights and more. You aren’t going to make this your go-to blog for golf instruction or product reviews, but it does a great job of staying on top of the current state of the pro game. One of the biggest websites related to the game of golf, Golf.com is a site that you should already have in your bookmark list. There is a tremendous amount of free golf instruction material to be consumed on this site, and much of it comes from some of the top instructors in the game. This is an extremely valuable resource for any golfer to access, to don’t miss out on it any longer if you are serious about finding lower scores. In addition to golf tips, you will also find scores, pictures and video, and much more. For the golf equipment junkie, this is a can’t-miss site. Golf Balled offers up an impressive collection of reviews, and they post new content on a regular basis. If you are someone who likes to go deep into the nitty-gritty of golf equipment from bags to shoes, clubs, balls, and more, you have found your new favorite site. There is also a golf forum on this site which you may enjoy, as well as some giveaways. The reddit platform needs to introduction. You might not be familiar with the golf subreddit, however, so it is worthy of an introduction here. You will find wide-ranging golf information within this reddit arena, so it is certainly a forum that should live near the top of your reading list. Reddit has tighter control standards than many of the other forums that you will find around the web, so you might find that you enjoy slightly more civilized conversation on this platform. This is also one of the largest active forums online for golf, meaning you should be able to strike up a discussion on just about any golf-related topic. GolfWRX just may be the largest golf forum on the web. There is simply a ton of content to explore and enjoy on this site. Much of the content focuses on equipment reviews and golf instruction, but there are conversations taking place on nearly every topic related to this great game. 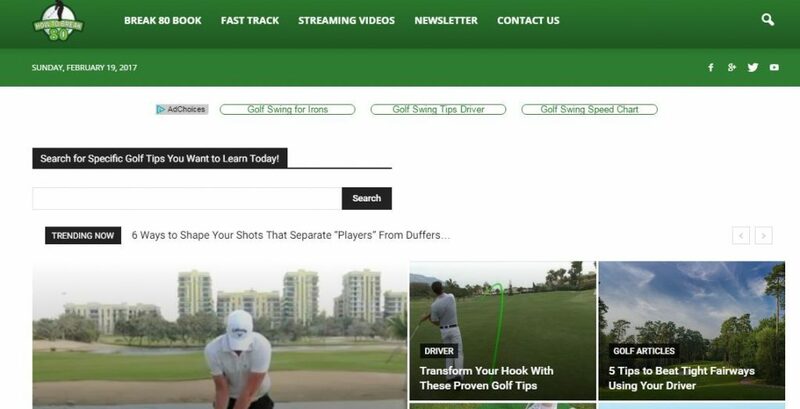 It is highly recommended that you take a look at GolfWRX – if you haven’t previously – because it is such a great resource for golfers of all skill levels. As a nice bonus, there is a classifieds section for golfers who wish to buy or sell equipment. When you find eBay to be a bit too competitive for golf listings, consider trying this option as a way to find or sell quality golf gear. Another golf forum that has grown to impressive proportions over the years. The Sand Trap is a site that you have likely come across at one point or another in your travels around the golf web. They have a highly active forum on the site, but there is also a blog which features interesting golf news and information. Unlike some of the other golf forums on the web, the discussion on The Sand Trap tends to remain active throughout the year, as there are plenty of members and new threads pop up on a regular basis. Yet another great forum, the community on My Golf Spy is a fun one to take part in, even if it might not be as large as some of the others listed above. Once you have checked out the forum, be sure to look around the rest of the website, which includes a blog, equipment information, and much more. One of the interesting features of this site is the ‘Moral Codes’ which attempt to keep some degree of order and control over the forum activity. We all know how ugly web forums can get when they are unchecked, so it is nice to see this site taking an active approach to maintaining civility. The Golf Gods Instagram account is one of the most popular on the web for coverage of this game. The content posted to this channel is a wide variety of images, videos, memes, and more. Usually this account is good for a laugh if nothing else, although they also offer some fun giveaways if you would like to have a chance to win some gear (or other prizes). If you are both a golfer and a regular user of Instagram, Golf Gods is a smart follow. As a golfer, you don’t need any introduction to Paige Spiranac. While she does have some significant talent on the golf course, her fame as come as a result of her stunning looks rather than her game. Of course, Instagram is a perfect place to show off those looks, which Paige has no trouble doing via her regular posts. Both images and videos are posted to this account, and they are almost always worth your time – often for non-golf reasons. Looking for the ‘next Paige Spiranc’? Look no further – Elise Lobb is another beautiful woman who regularly posts golf-related images on her Instagram page. Elise is the co-host of the Fox Sports Swing Clinic, and following her on Instagram is a decision that is only going to take you a second – or less. If you happen to be into things like golf and beautiful girls, do yourself a favor and spend some time on this Instagram page. After two accounts from beautiful female golfers, we are going in a different direction with this next one. The Fat Golfer Instagram account is not particularly active, but it is enjoyable to say the least. Some of the posts you will see on this channel are downright hilarious, especially if you are an active golfer. When you want to find some fun images and videos to share with your friends on social media, The Fat Golfer is a great place to start. This account is purported to be from a college golfer. Whether that is true or not we can’t say, but it is quite entertaining either way. There are tweets that are related to current events happening in the world of pro golf, and there are also tweets that are just meant to be funny. For an account that will keep you up to date on pro golf while also making you laugh at the same time, you really can’t do much better than this option.